Pet owners are on edge in a small town near Winnipeg, after a woman discovered what she suspects is a string of pet poisonings. Rosalie Stelmack says that she’s found more than seven cases where pets fell ill after visiting a park in La Broquerie, Man., this year. 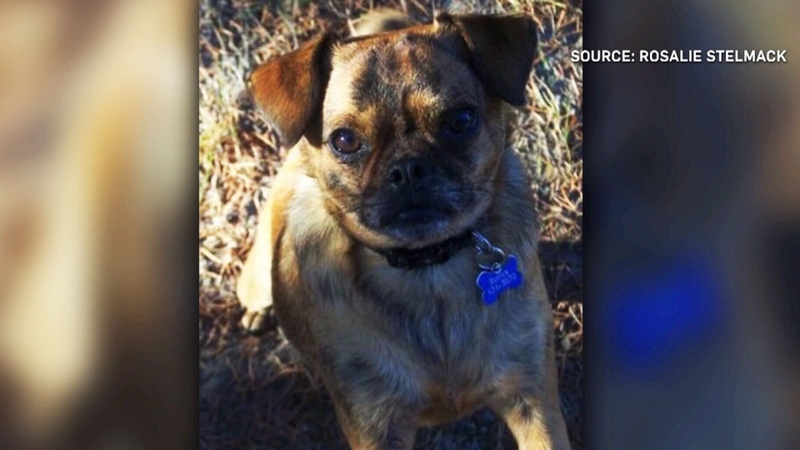 She began investigating after her dog Buster fell ill earlier this week. “My daughter called me and said ‘he’s throwing up a lot of blood – a lot of blood,’” Stelmack told CTV Winnipeg. She quickly rushed the dog to the vet, where she says she was told that Buster had likely been poisoned by antifreeze or rat poisoning. With the dog in a great deal of pain, the family decided to end his suffering. It wasn’t until the next day that Stelmack says she found a piece of meat on her property, which resembled a piece of jerky. Another similar looking piece was found in the ditch in front of a home a few doors down. After speaking to neighbours, she found that there have been seven pet deaths on her street, as well as the seven cases of pets becoming seriously ill. The concerns prompted her to contact the RCMP with what she had discovered. RCMP officials told CTV Winnipeg that they’re investigating the incidents. Buster, a dog believed to have been poisoned in Manitoba, is seen in this image. 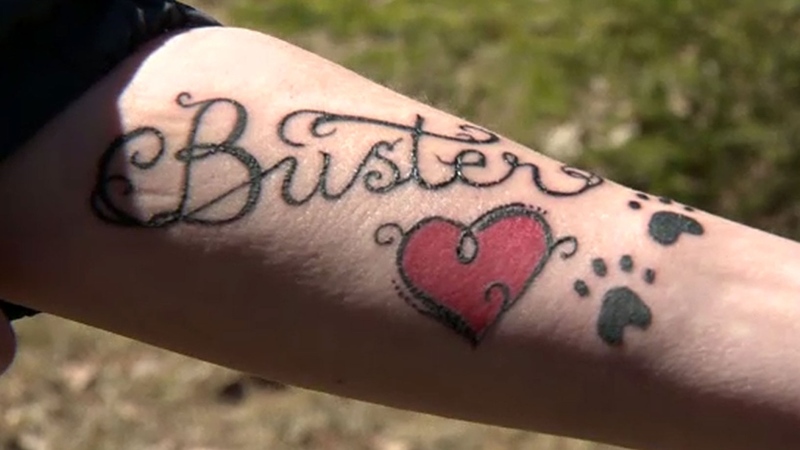 Rosalie Stelmack shows her tattoo, commemorating her dog Buster.